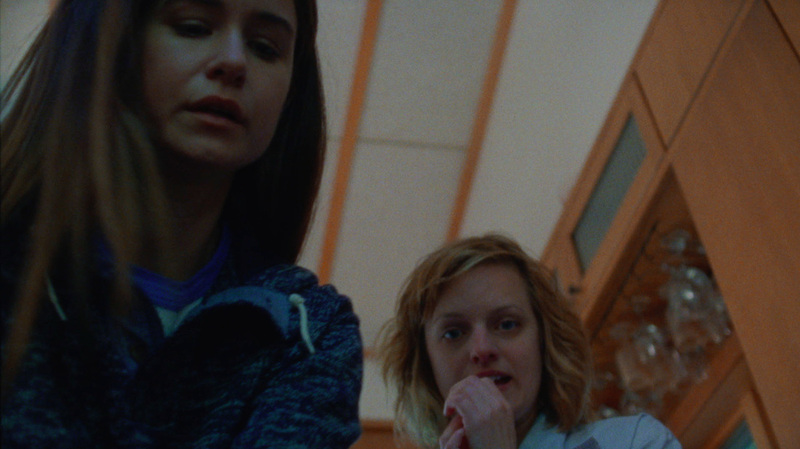 This article is a review of QUEEN OF EARTH. Are you passive aggressive? Do you get a kick out of watching the passive aggressive in full swing? 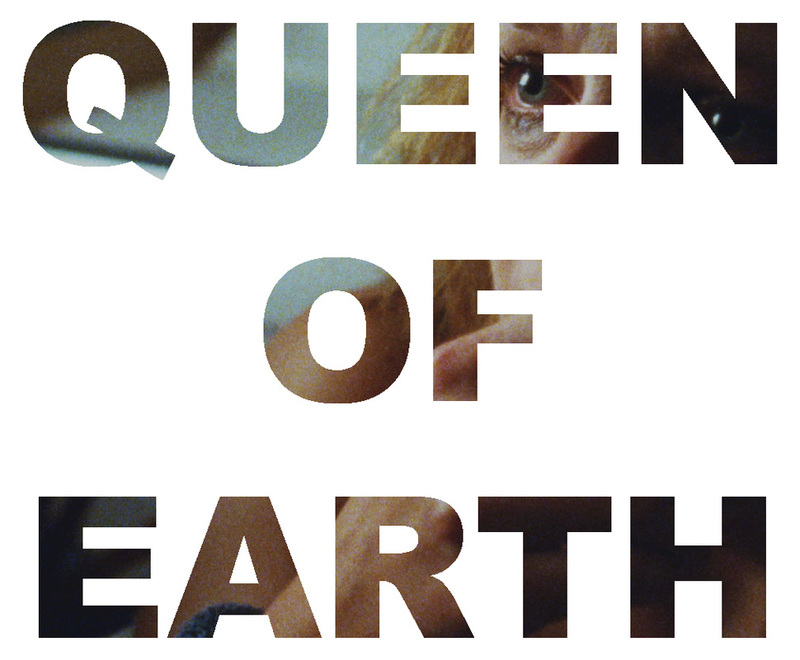 If yes to either/both, QUEEN OF EARTH could be the movie for you. Fear not, those who prefer their spats in your face, you will be catered for as well. Characters scraping against each in confined spaces and claustrophobic shots are awkwardly given dominant screen time. Respite is offered sparingly at the beginning of each scene before ramping up. Verbal emotional violence reminds of the scene in BATTLE ROYALE where the young women are getting along before homicidal rage replaces pleasantries. 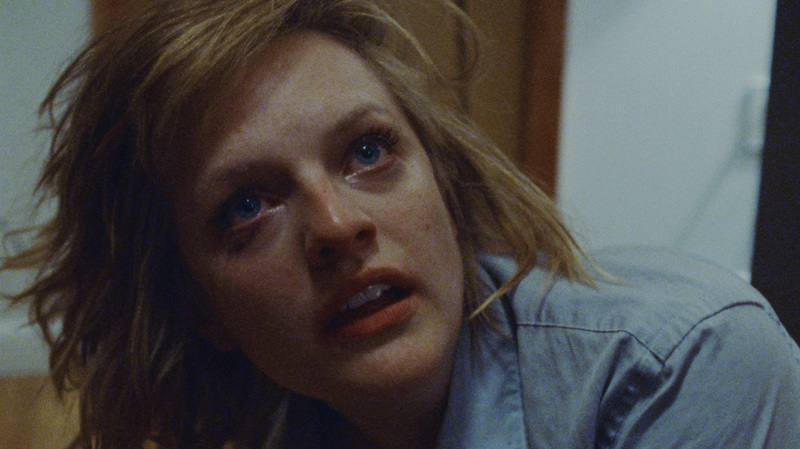 Over a week, starting on Saturday, in what might be an Elysian lake house retreat (one says might, no memorable wide shots establish the locale, and not in a bad way), Catherine (Moss) has come to shelter while her cheating ex-boyfriend, James (Kentucker Audley), moves his stuff out of their apartment. Opening on a tear-stained Catherine letting fly a bile-saturated monologue on James, we get a glimpse of her mental bruising after the one-two sucker punch of father passing and relationship sundering. Hoped for sanctuary at the residence of Ginny a.k.a. Virginia, friction rears immediately as Ginny is late, as usual, to collect Catherine. Such an ability to cut to the bone suggested siblings, sisters who would bounce back from curt, non-sugar-coated pronouncements. Blood is not thicker than water; they are in actuality (supposed) best buds from youth. Parentheses drop away. Unrelenting bickering might have worn away audience patience, so scenes are juxtaposed with the previous year’s visit in happier circumstances for Catherine (though interestingly not for Ginny). Sympathy for Moss’s lead is subtly undermined. The filmmakers demonstrate skills. A stylish single take has the camera move so each protagonist is centre of the frame, ending on Catherine’s angrily disbelieving face at her pal’s compassion void. Was there a fear of monotone accusations? Belligerent neighbour Rich (Patrick Fugit) is thrown into the mix, smooching on Ginny. Sides were drawn the previous summer. Now sans James, Catherine is outnumbered. De Palma, Cronenberg, Bergman, Argento, the antecedents accrue, for better and worse. For all the acting fireworks, can we please have a moratorium on male filmmakers depicting female hysteria?